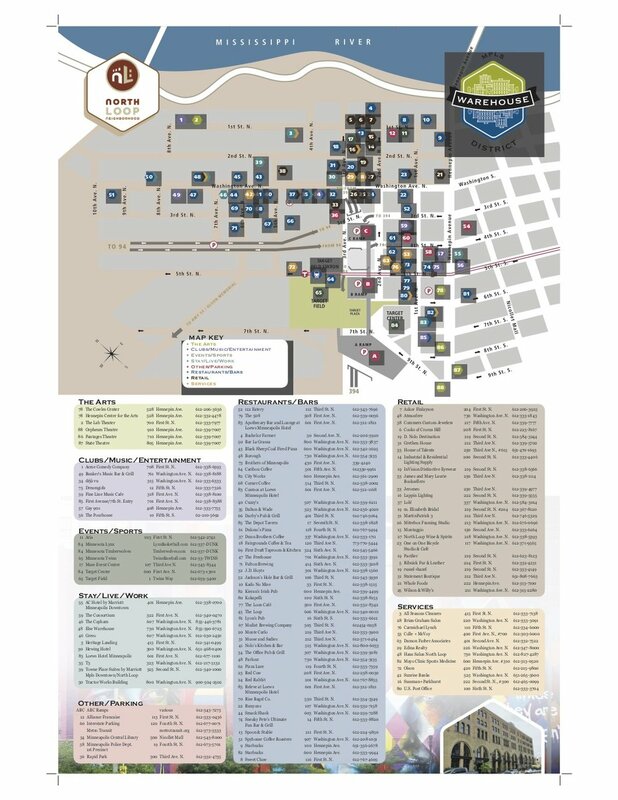 Here is a PDF of our map, the same one included in our brochure. This does not include all businesses but does include hospitality, retail, and service businesses. If you are looking for a business not included here you can do a search at the bottom of our home page or give us a call at 612-567-2029 and we’ll be happy to help you! If you would like hard copies of our brochure we are happy to mail them to you. Please make your request here and remember to include your mailing address and the number of brochures you would like.